Blood and buffy coats are the most common starting material for the extraction of nucleic acids used for many applications in the genomic testing field. 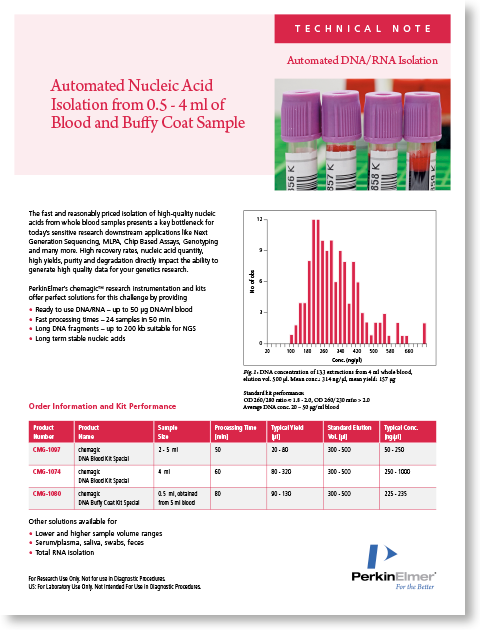 With the dramatic increase in the throughput of genomic analysis seen in the past few years, the fast and reasonably priced high-throughput isolation of sequencing-grade nucleic acids from whole blood and buffy coat samples presents a key bottleneck for today’s sensitive research applications such as next-generation sequencing, MLPA, chip-based assays, genotyping and many more. 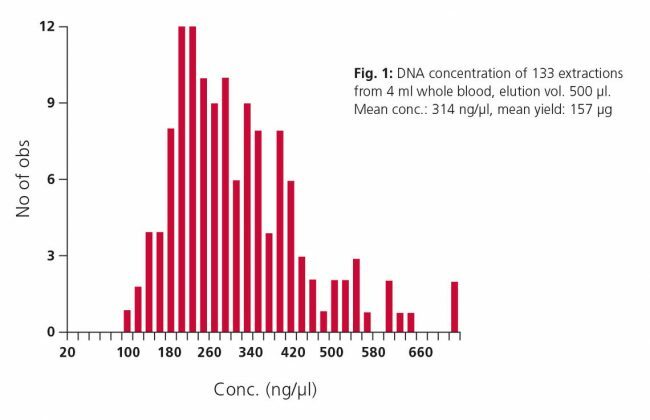 Genomic DNA from an initial sample volume of 4 ml of blood and has been eluted in 500μl. The average yield is 63μg per ml of blood, with a DNA concentration of 363 ng/μl ± 163. The typical DNA quality as measured by A260:280 is 1,98±0,26. For more information, please download the application note below.